Computer skills – quoted by many as some of the most essential skills to land jobs, they have recently been included in the National Curriculum. Everyone agrees how important it is in today’s digital world to learn about all the different aspects of computers; from writing code and building software to using administrative programmes such as Microsoft Office. We know it can be really challenging for you as hard-working teachers, to stay informed of trends in this field and offer your students the best possibility of acquiring great computer skills. This is something we can help you with through our growing list of industry experts who we can connect you to through our platform – that way, your students hear about which computing trends to follow, discover a new passion and add another interest and passion that they can build upon as they grow older. Steve Hirsty, CTO at Icarehealth, providing technology to support health care, Malcolm Coury, Managing Director at Moneywise Independent Financial Advisers and Mark Gerhard, CEO & CTO at Jagex, UK’s largest individual game developer. Dawn Woodcock, Director of Learning & English Communication at Tottenham UTC, has used our free service and invited the following 3 business leaders to inspire 50 of their Year 10 to 13 students to become the future entrepreneurs! Denise Hicks, Founder & Director of Loco, London Comedy Film Festival, Danny Richman, Founder of Richman SEO consulting for digital businesses and Mayel de Borniol, Cofounder of Babelverse, which developed a digital translation software. 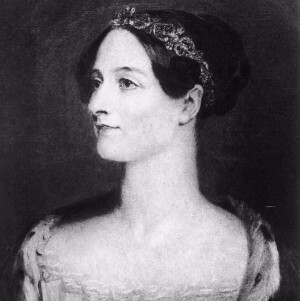 13th October is Ada Lovelace Day! Inspire your girls to go into STEM and invite female leaders from tech businesses into your class to celebrate Ada’s spirit and motivate your girls to achieve a similar contribution to society.